Kitchen Gifts for Great Teachers! Need a kitchen gift idea for a favorite teacher or coach? Download and personalize a label and instructions for homemade pancake mix – you’ll be fondly remembered all summer long! Stir together 6 cups white our, 2 cups whole wheat flour, 1/4 cup sugar, 2 teaspoons salt, and 5 tablespoons baking powder. Store the mix in a seal- able jar. Print out the label linked above. Write your name on it and tape it to the front of the jar. Add directions print out the pancake batter direc- tions below and tape them to the back of the jar. In a large bowl, mix 2 cups of mix, 2 eggs, 2 cups buttermilk, and 2 tablespoons melted butter. If it’s too thick, add a little extra buttermilk. Melt a little butter in frying pan over medium heat. Spoon the batter into the pan and cook until you see bubbles. Flip and cook the second side. Serve with maple syrup. 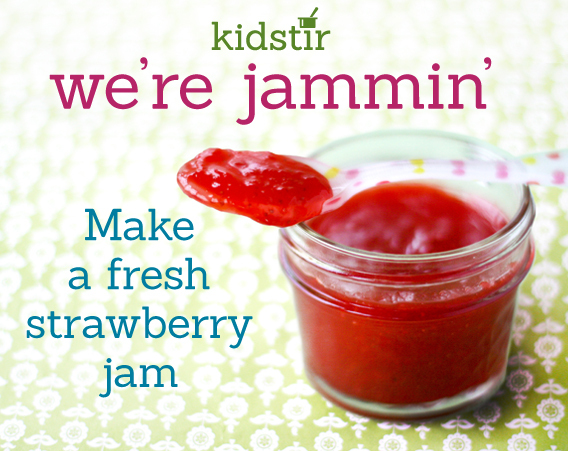 For a tasty teacher gift, make a jar of strawberry jam. Start with fresh-picked strawberries and follow this quick & easy recipe from scratch. It’s a sweet way to thank a favorite teacher! Here are the cooking tools kids will learn to use: a blender or food processor, measuring cup & spoons, a knife and cutting board, a cooking pot, 4 ounce jam jars, large spoon. 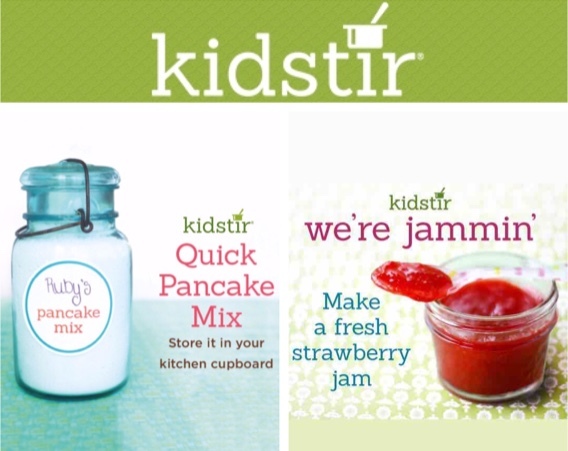 The kitchen skills kids gain making jam are blending, measuring, stovetop cooking and stirring. They’ll spend twenty minutes combining these ingredients: fresh strawberries, sugar and pectin powder and can eat in 24 hours. Recipes For (Making) Little Chefs! 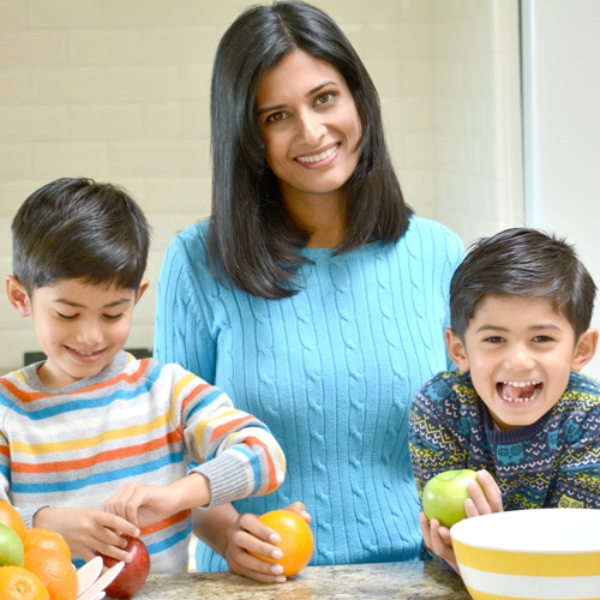 Check out the conversation between Kidstir’s founder and the veggie lovers at Vegy Vida. Pick up some tips to encourage your own little chef!